Generous, curved proportions and sumptuous cushioned seating combine to create a sophisticated, familiar designed contemporary chair complete with swivel base for the ultimate in luxury and style. Upholstered in either neutral Avalon white or warm Clarck grey, the textured fabric is beautifully finished with a subtle piped detailing perfect for any modern interior. 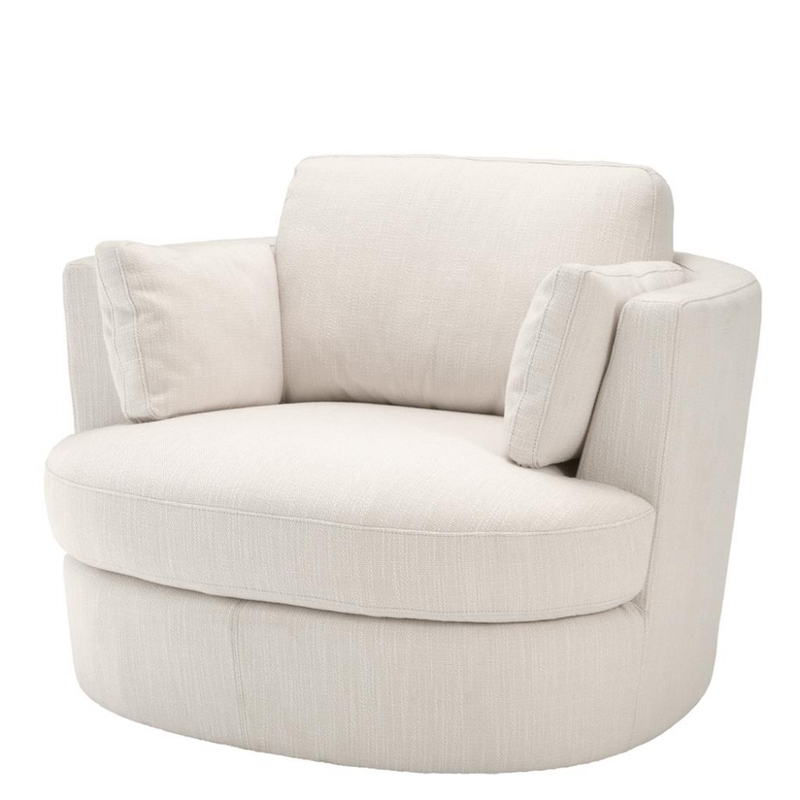 Use the Clarissa Swivel Chair to enhance a Mediterranean villa inspired sitting room, add to contemporary furnishings in a traditional orangery or library for an instant update or style onboard a luxury yacht to make the most of the panoramic open sea views. For further details of our extensive directory of Eichholtz luxury homewares and other, similarly high quality interior brands why not contact our interior design team who can offer expert advice and inspiration to help you create your perfect interior.